I began this year getting behind the wheel of a shiny new, white F-Pace that had just finished with its pre-delivery inspection. To me, the smell of a new car is a more intoxicating than whatever you had this New Year's. But enough time has passed between my drive and me finding time to write this story, so the infatuation has certainly worn off. And yet, I remain impressed with F-Pace. Its design still has my fancy after all these years. 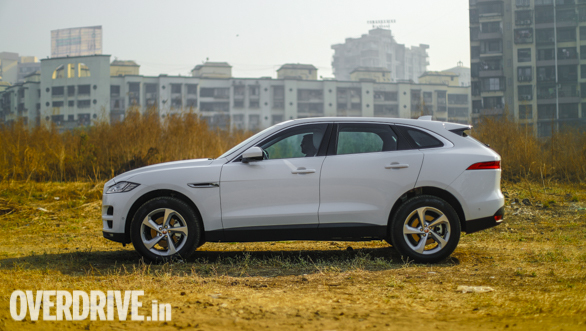 The high shoulder and low roofline, with those slats over the beefed-up wheel arches create an athletic poise that is unlike any other luxury SUV in this bracket. The closest resemblance of that athleticism is the Porsche Macan and that's a very good car to be compared with. 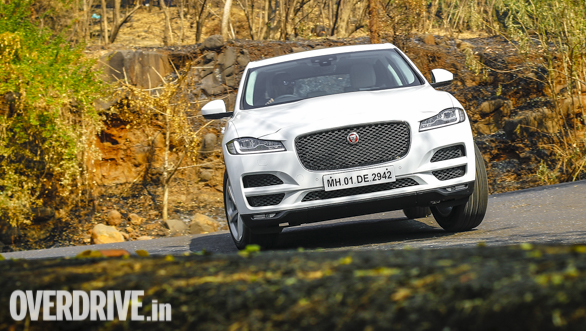 I'm also glad that unlike the E-Pace, this elder sibling looks very much like it's sedan counterpart - the XF - and that gives it a smart face that drips attitude. I quite like it. I like the cabin too - rich materials, clean lines, and an intuitive layout make it a nice place to be in. 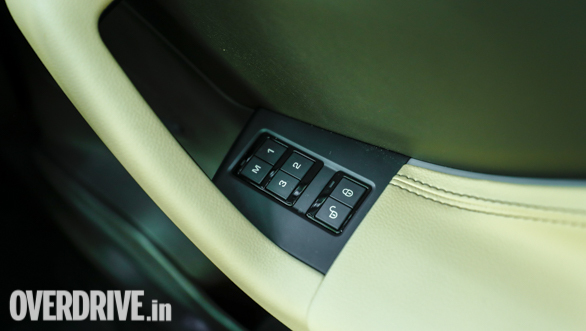 If I had to nitpick, I would interchange the positions of the power window switches with the seat memory ones, which currently sit on the window sill and door armrest respectively. Save for these, the rest of the controls are intuitive and easy to reach. 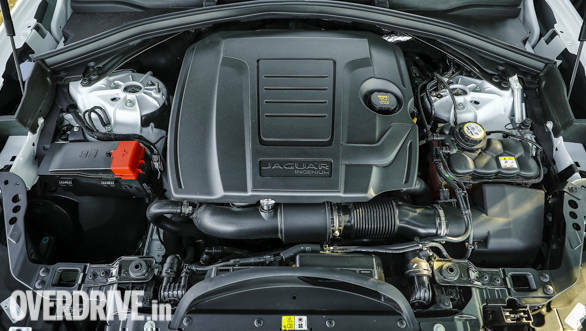 The F-Pace is now locally assembled and the fit and finish remain as clean and neat as would expect from a jag. The 'InControl' smartphone interface for the infotainment isn't as friendly or slick as Apple CarPlay or Android Auto. 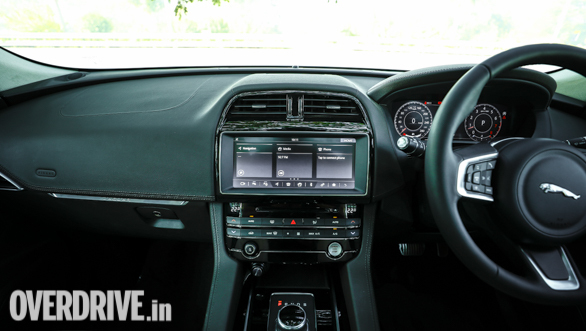 But it is mated to a sweet sounding audio unit that is on par with its equivalent siblings at Land Rover. Getting in and out of this cabin is as easy as one would expect of a luxury SUV, but the driving position is quite Jaguar, with the dashboard wrapping itself around the driver's seat, and the steering and A-pillar almost making the driving position feel like a sport-coupe's than an upright-SUV's. Which works well, because the F-Pace goes like a sports-coupe too. In fact, the low-end poke is so snappy that many would want to shift to the Eco mode only to dull down that throttle response for urban use. The Ingenium 2.0l petrol redlines at 6,500rpm and gets there quite quickly too. Therefore, driving on the highway is a charm as well. The F-Pace comes with a lane departure warning system and it reads lanes markings quite accurately even in our road conditions. The drivetrain's cruising sweet-spot is around 130kmph, where it needs a little over 2,000rpm from the four-cylinder engine. In-gear acceleration is quite impressive too and you seldom find yourself having to downshift manually in order to make quick progress. It will go from naught to 100kmph in a little under 8s and has the sweet and smooth exhaust note of a four-cylinder while making that sprint. The F-Pace is the most fun on the mountain roads though. In comparison to most other luxury SUVs, there is a significantly lesser vertical movement. 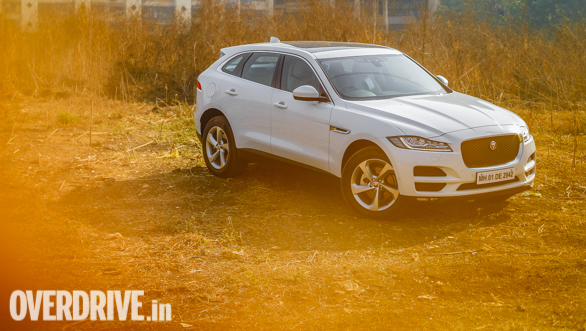 The F-Pace is also quite easy to go fast in, even if you aren't an enthusiast. 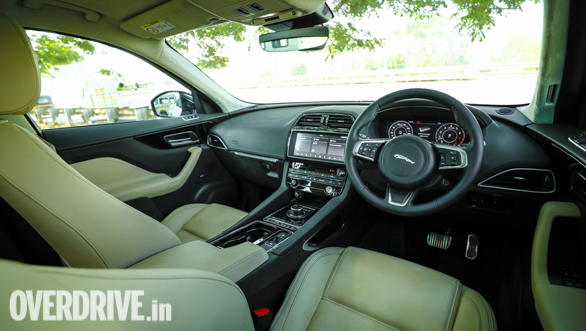 But if you are an enthusiast, it will massage your ego quite nicely with its taut driving dynamics and the strong mid-range pull from its petrol engine. The steering feedback is amazing too and one of the best in this class. There is a fair bit of understeer around tight bends, but switchbacks aren't a worry for this big cat. It can also be quite calm and tamed if you want it to. The ride is a bit firm, but it handles broken roads quite well. It certainly isn't as plush as some of the Germans, but it isn't so harsh that any of the occupants would complain. I really wonder why I don't see enough of these on the road. The F-Pace is in fact, a very likeable car for most kind of buyers in this space - chauffeur driven, self-driven, enthusiasts et al. 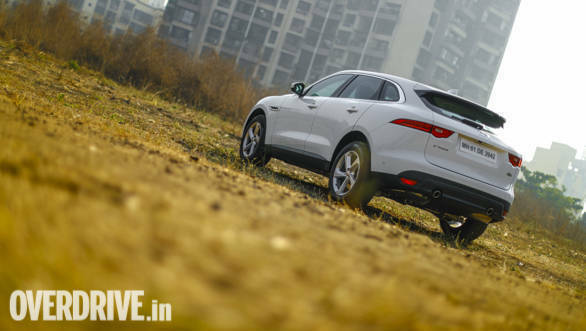 So if you are out in the market looking for a mid-size luxury SUV, the F-Pace certainly deserves your attention. There is plenty going for it.